I’m no productivity guru, but this is something worth hanging on your door to read every morning. Another way of saying this its better to spend 2 hours per day on the hugely important stuff that you’re avoiding then 8 to 10 hours on unimportant things. This would result in one very happy client, boss. This doesn’t always happen of course. I am guilty of this, are you? 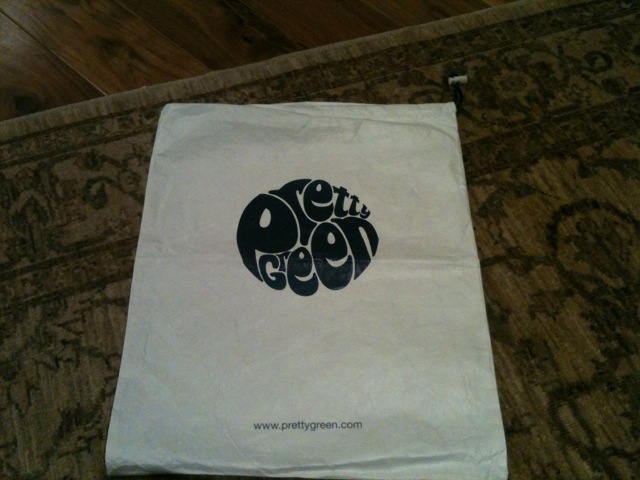 Once in awhile I check out clothes online from this English based company, Pretty Green. It is founded by Liam Gallagher, former front man of Oasis, so I’ve been naturally interested in them from the beginning. Yes I am the ultimate fan boy. Anyways what I want to focus on is their packaging. 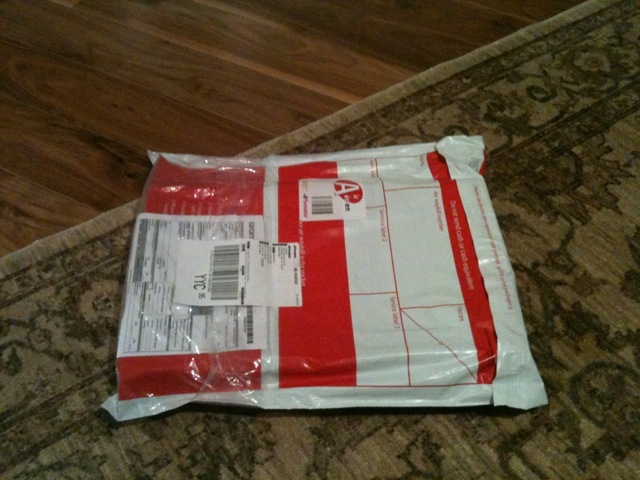 Now before I begin my analysis, I caught something on twitter by Joe Stump : “bubble wrap is a $3.5bn a year industry. Oh, and it can’t be single stream recycled”. Dear bubble wrap industry, please get on that. Another way to deal with this is simply to eliminate. Use less packaging from the get go. 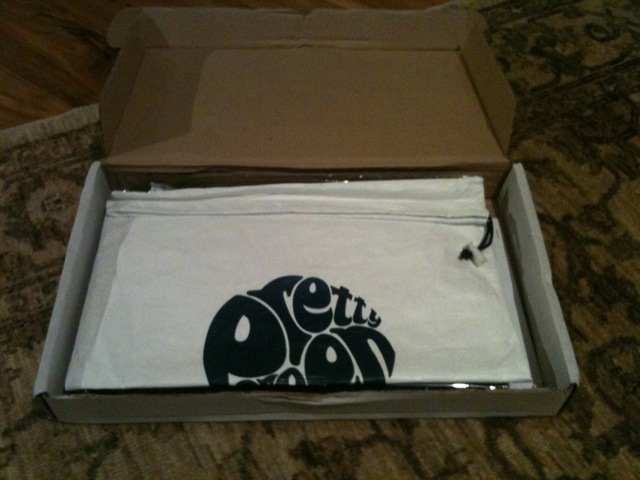 With a name like Pretty Green, lets hope so. 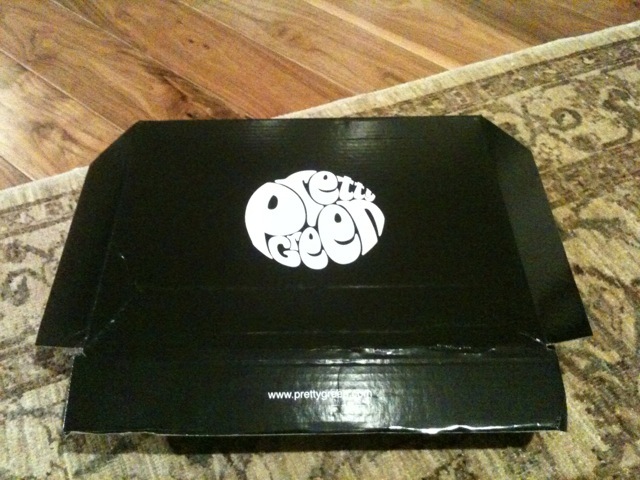 Now I ordered once before and I received my purchase in a nifty black box. So they need some consistency here. I wanna feel like I’m buying quality material here from a cool shop, not Ebay. 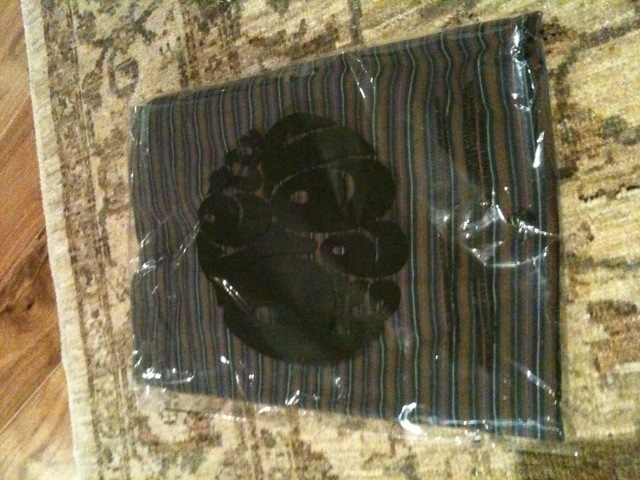 They included a cool reusable laundry bag. Nice touch. Much better than usual fluffy material squeezed into your package for no reason. 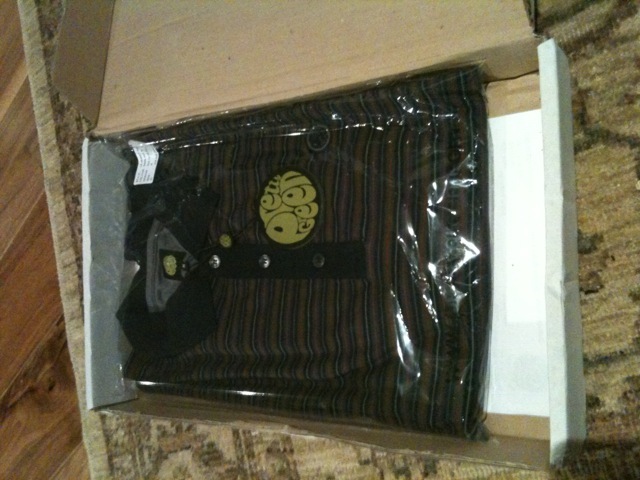 Wrapped in see through plastic with the back featuring the brand name again. That’s it. Nothing over the top. And that’s great! See the main concern for me is the item itself. I don’t care so much about packaging too much, as long as nothing is ruined! But someone else’s worldview about packaging may be influenced by getting that fancy bag one receives from a physical boutique shop. 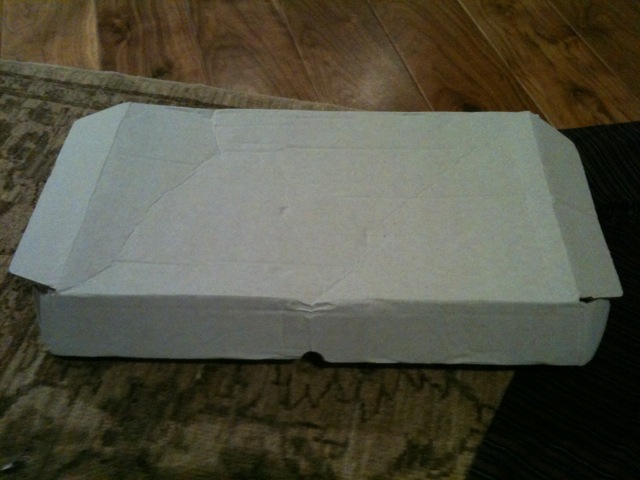 I feel its great when a company puts some effort in building up that anticipation in the packaging. The fine line is using as little as possible, yet remain aesthetically pleasing. Right? This post is more about sales, then say marketing, if you’re into categorizing concepts. All the marketing in the world can’t save a bad product. Quality is always important. Marketing has to be built into it, to give people what they need. Most people when you say marketing automatically think advertising. But really marketing is when it changes the product to steal a line from Seth Godins Purple Cow. When that happens you’re not scared of delivering the best. All this discounting and stretching ourselves to sell isn’t needed then, because you know you’re delivering value to the person. You have to feel what you’re giving away is worth more than than price. This makes the sale so much easier, because people want the best for themselves and you’re delivering that best. And that’s where enthusiasm comes in. If you love what you’re selling, then that comes through despite being bad at formal sales techniques. People can pick up on that enthusiasm from your body language. It’s great when you have this feeling, because many don’t have this trait. Lots of people don’t believe in what they’re selling and you can feel it from the other side. So selling doesn’t have to be a chore. You enjoy it when your actually giving people what they want.